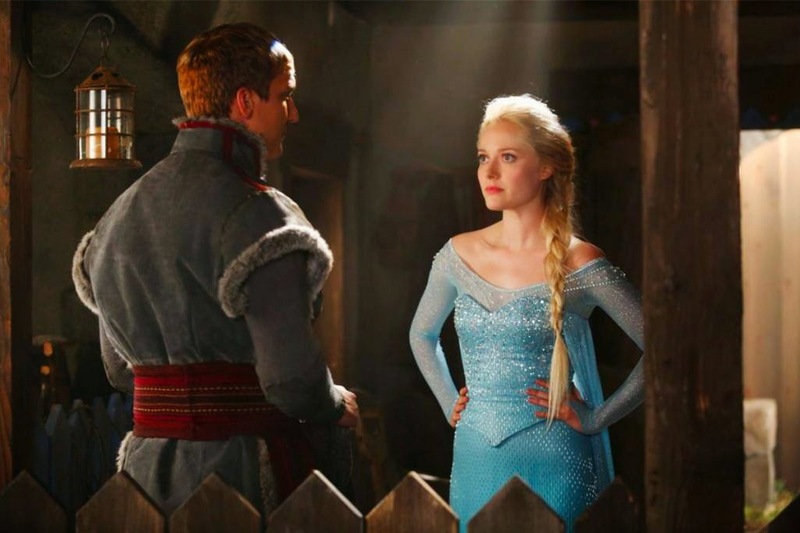 Rejoice fans of Once Upon a Time and Frozen! Our first official picture of Georgina Haig as Elsa as arrived along with a back of the head shot of Scott Michael Foster as Kristoff. What do you guys think? A lot of the response on the internet hasn't been great as a whole, complaining that Kristoff's hair doesn't look right, Elsa's dress looks tacky and that Elsa herself looks too old. What we have to remember is that this isn't a direct port, Snow White certainly didn't look much like her Disney Princess counterpart and thank goodness for that! Personally I'll be waiting to see what kind of actors they are and where they decide to take the characters and their story. Check out the finale clip from the last episode of season three when Elsa gets free.